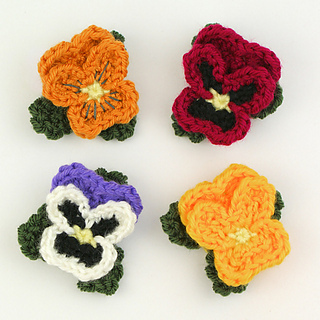 Depending on your climate, pansies can be among the earliest flowering plants in spring, but you don’t even need to wait that long to add colour to your day! 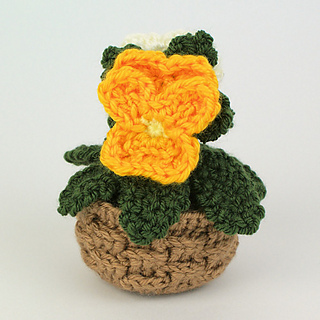 The word pansy is derived from the French pensée (’thought’) and there’s no better way to show someone you’re thinking of them than with a cheerful crocheted pansy. 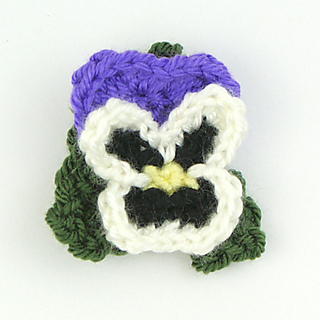 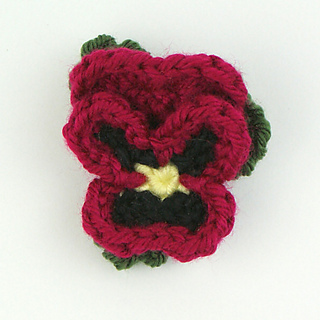 Pansies is an original crochet pattern by June Gilbank. 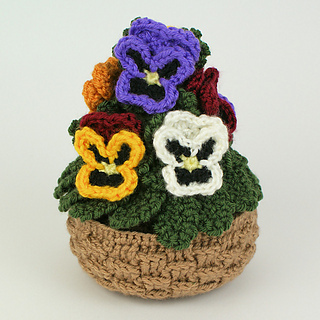 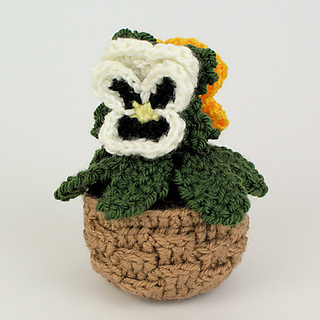 This pattern includes full instructions to make large and small baskets of realistic pansy plants, together with 4 different styles of pansy flowers, each available to crochet in all the pansy colours, giving you dozens of options! 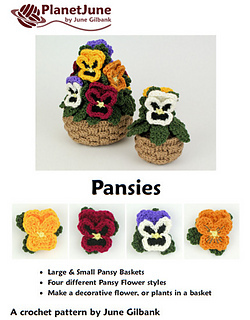 You can customize the basket contents to mix and match the pansy flowers however you wish. 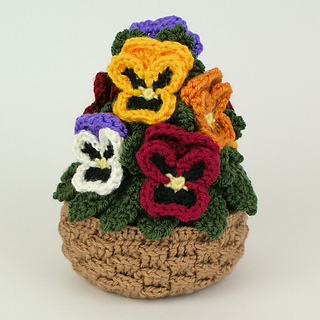 The small basket includes 2 pansy plants, and the large basket has 8, for a riot of glorious colour. 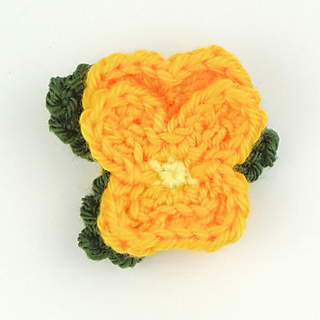 The pansy flower is a little more complex than other flowers, but it’s clearly explained with written instructions, stage-by-stage photos, and right- and left-handed stitch diagrams. 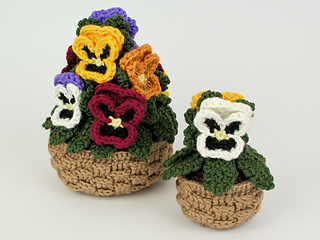 The complete pattern includes 16 pages and dozens of photos for constructing the flowers and assembling the pansies in both sizes of basket. 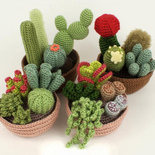 If desired, you can save paper and ink by printing only the crochet instructions required for your chosen option (these pages are listed within the pattern), and read the assembly instructions on-screen only. 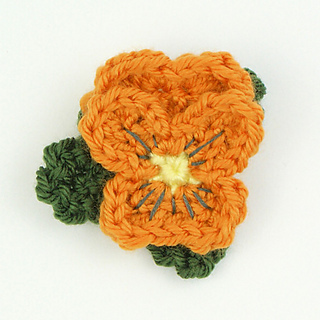 Yarn: worsted weight yarn in several colours - this pattern is a great way to use up your scrap yarn!